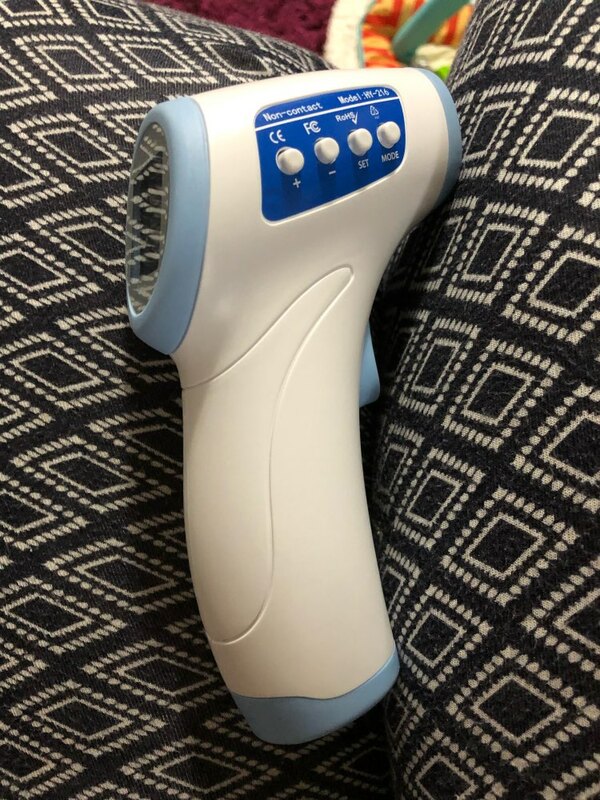 This non-contact baby infrared thermometer is specially designed to take the body temperature of a baby or adult regardless of room temperature. 2 temperature units for conversion: Fahrenheit or Celsius, long press "MODE" more than 5s. Body temperature measurement: aiming towards the forehead with the distance of 1-15cm. Well measures the temperature, convenient. Need 2 small batteries. Great thermometer. Measures quite accurately.